Greetings again! This is the third blog post on target marketing. In the first one, we talked about identifying your business’s target markets. In the second, we walked through an example. Today we’ll talk about how to use all that work you did to earn you more money. To start out, let me tell you a short story. The other day, I was talking with some of my students in class. They were building a marketing plan for a realtor out here in Connecticut. Students: So, we were thinking they should post pictures of their available houses on Facebook. Students: Because its free marketing! Students: Uh oh. We forgot something, didn’t we. Do you see the issue they overlooked? If you said that people looking for homes usually don’t go home shopping on Facebook, you hit the nail on the head. They forgot about using the target markets to help define the company’s marketing. They were trying to build a marketing strategy in a vacuum. 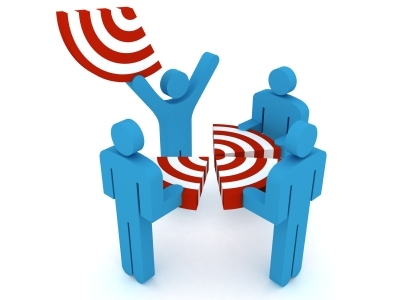 Your goal is to build a marketing campaign for each target market. Hometown Bicycles does a great job with this. They are trying to appeal to casual riders (target market 1), enthusiasts (target market 2), and racers (target market 3) who are looking for a friendly, home-like environment with people who are looking out for their well-being. So, on Hometown’s website and in the store it showcases and celebrates people who compete, appealing to the racers. Hometown employees are trained to be incredibly knowledgeable about bikes and will take the time to talk extensively about them because experts like to talk with people as excited about bikes as they are. Hometown also has a section of its website dedicated to pets and another about the saga of a little jabeñero plant along with slogans and pictures geared around establishing the friendly, family-like environment so casual riders doing internet research easily see what sort of people they would be working with. And Hometown Bicycles is shaping up to be an incredible success! Greetings again! 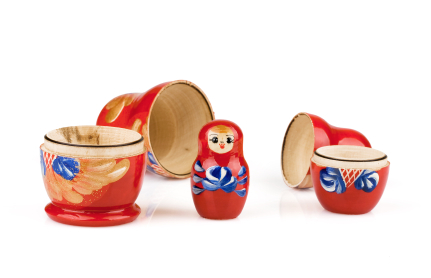 Last week we talked about the four components of a target market. This week, we’re going down the rabbit hole a bit more! Your goal is to define your target market as much as possible. The more you know about them, the easier it is to design a marketing campaign that will attract them, which we’ll talk about in Part III. But be warned: don’t try to fit all of your customers into one target market. Most businesses have two (or more!) target markets. Take a realtor, for example. They have six different target markets: first-time buyers, home buyers, apartment buyers, vacation home buyers, commercial buyers, and sellers. While they all share some similarities, there are enough differences between them to treat them separately, especially for marketing purposes. For example, first-time buyers tend to be much less sure of the buying process and need more handholding than other home buyers. They tend to be just married and/or just starting a family. They also are usually relatively new into their careers, so they are looking for less expensive homes. And… wait a minute. We’ve started to define the target market! That’s the beauty of target markets—you likely already know what your business’s target markets are if you stop to think about it for a bit. But let’s go through an example of how you can clearly identify one. Demographic: Usually ages 25-35, recently married, college educated, looking for a home in the $100,000 to $200,000 range (incomes in the $50,000 to $100,000 range), may have just started a family (1-2 kids), likely still paying off loans from school. Geographic: Looking to move within 50 miles of the realtor office. Psychographic: Scared or nervous about the home buying process, but also excited about owning their own home. Usually moving from an apartment, so they may not be aware of all the maintenance requirements a house will need. Often thinking about school systems and feeling of the neighborhood. Use the internet a lot to help with the home purchasing decision. Use-based: They will on average interact with the realtors 10 or more times but make only one purchase, which will likely last them for multiple years. The more specific you can get, the better. Be careful of identifying too many target markets, though! Your goal is to keep the number manageable, so if you find yourself dealing with 10 or more target markets, see which ones you can combine together. We’ll see why in next week’s post. I have a twin brother, and he is easily one of the coolest people I know. Because he’s traveled ALL over the world, David has more stories than you can shake a stick at. These days, he’s busy enlightening collegiate minds in the field of entrepreneurship. I am very proud to welcome him as a guest blogger – both this week and next – on a topic of enormous importance: Target Markets. Let’s begin with Part I, shall we? I’m going to take you through what target markets are, how you can identify your business’s target markets, and last and most importantly how you can use them to quickly and easily build successful marketing campaigns to increase your sales! The descriptive characteristics of your customers. Basically, if it goes on the U.S. Census, it’s a demographic. Think along the lines of age, education level, number of kids, marital status, income level, etc. Where your customers are located. This could be a fixed radius (“within 15 miles of the store”) or more broadly defined (“anyone with Internet access who speaks English”), depending on the type of business you have. Keep this focused on where 80-90% of your target market comes from. Psychographics cover the defining mental traits of your target market, like being concerned about health or enjoying going out with friends. Sometimes it’s easier to identify your target market by a group or organization they belong to because that summarizes a whole bunch of traits at once. For example, if most people in your target market belong to the Rotary Club, a local church, or a political party, that summarizes a whole bunch of characteristics right there. But make sure you focus only on the ones that relate directly to why people buy from you. How often does the target market use your product or service? Do they come every day, once a month, or only once? In Part II of this series, we’ll focus on using these four components to define your company’s target markets. But if you have questions, let Dawn or me know, and we’ll be sure to answer them!